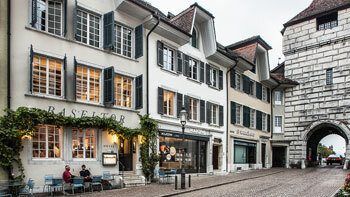 Great history in a small place: the Hotel Stern & Post was Switzerland’s first post office, in 1849. At the beginning of the last century, the building was converted into a very comfortable hotel. 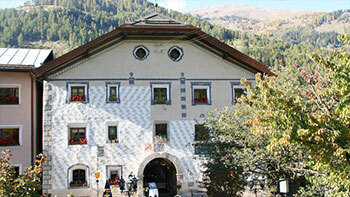 Today the Hotel Stern & Post – the only post house still existing from the days of transport by post coach over the Gotthard pass – has been returned to its former splendour. Enjoy the unique atmosphere, and experience for yourself our wonderful cuisine and fine wines. 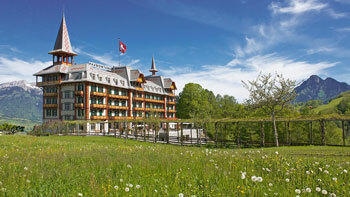 In a beautiful pine forest, surrounded by a large park, lies the Kurhaus Hotel at 2,100 meters above sea level. 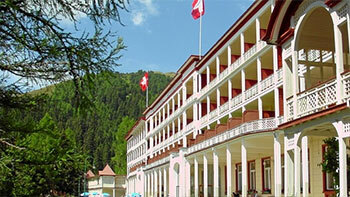 The hotel, built in 1896, radiates both the coziness and the permanence of a mountain hotel. The eventful history of the hotel, which has been run by the same family for four generations, can be seen and felt throughout the building. Many of the 72 rooms offer an unforgettable view of the nearby mountains peaks. The unique quiet location ensures perfect relaxation. Welcome to paradise! 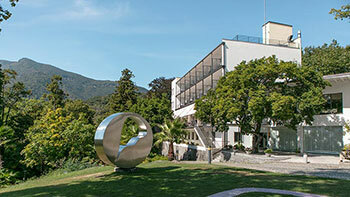 Incorporating its century-long history, Monte Verità with its unique geographical, cultural and natural features has become an ideal meeting place. What makes us unique: our hotel designed in the Bauhaus style by Emil Fahrekamp in 1927 (renovated in 2008), our à la carte restaurant with a view of Lake Maggiore, our Japanese tea house with Zen garden, our park with its great variety of exotic plants. A wide range of events and guided tours: fascinating history encompassing many famous people, various eras, architectural sites and places of energy. Visit us on the "Mountain of Utopias". This hotel - a former posthouse - is surrounded by Mediterranean gardens with terraces, arbors and a swimming pool. Some of the hotel‘s original furnishings have been lovingly restored. The fireplace in the lounge is particularly impressive and cozy. In the heart of Basel, directly on the Rhine River, the Hotel Krafft offers you a breathtaking view of the old town and the cathedral. 60 carefully renovated rooms revive the charm of the past. 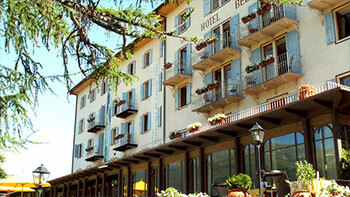 The cosy salons as well as the restaurant with specialities from the region invite you to stay. A dedicated, friendly team offers a warm welcome. 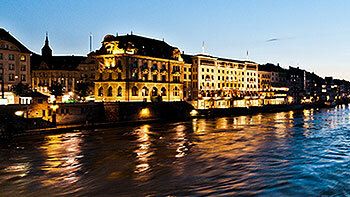 The Grand Hotel Les Trois Rois lies at the very heart of the city of Basel. At the exact spot where, in the Middle Ages, the ships docked at the salt tower in order to transport that much sought-after product down the Rhine and out into the wide world. 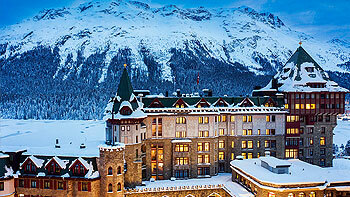 With a history stretching back over three hundred years, our Grand Hotel has one of the richest traditions in Europe. That obligates and inspires us: our guests experience hospitality and exquisite delicacies in a lively setting, which combines natural elegance with luxury. 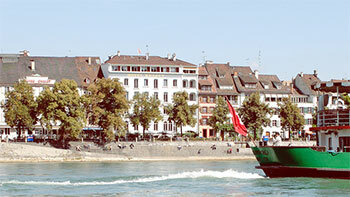 Discover Basel, the tri-border area and the charm of our region. Allow yourself to be pampered – to make your stay in our small cosmopolitan city unforgettable. 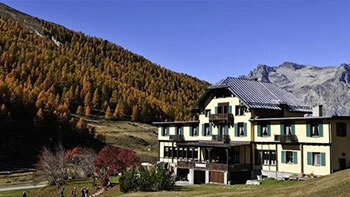 Located in the pristine landscape of the Albula valley, today this former wellness hotel is a unique combination of hotel and apartments. In 2002 its guests bought it as a public limited company, and it has since been renovated step by step. Under new management since 2009 with Maya Schlup and Christof Steiner. Spacious architecture, very family friendly. Creative restaurant "La Peida" (Romansh for "The Muse"). Impressive art nouveau building dating from 1906. Breathtaking ballroom, well-preserved lounges and an original canteen kitchen from yesteryear for team events and banquets with a difference. 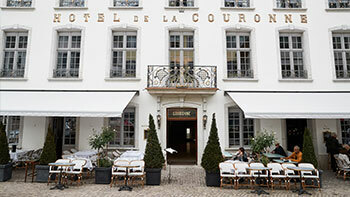 This unique hotel won an award for its unusual collection of art nouveau lighting fixtures. Careful renovations and the preservation of details have maintained the authentic, historic charm. The Chesa Salis with its meter-thick walls radiates warmth and security, coziness and a combination of aristocratic generosity and solidity. 18 rooms with modern comforts also provide evidence of the craftmanship of bygone days. The pleasant public rooms and cozy dining areas are the perfect setting for lingering over fine cuisine. The careful and loving preparation of fresh products of the highest quality with professional skill contribute to your sense of well-being. Executive chef Uwe Schmidt pays particular attention to creative delicacies and regional specialities. An informal oasis of tranquility with a cheerful and comfortable atmosphere. 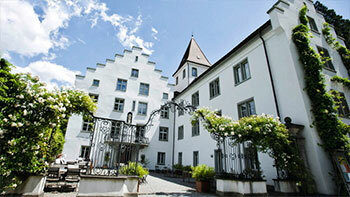 Come with us on a trip back through time to the historic Ofenhorn Hotel in the wild, romantic Binn Valley. 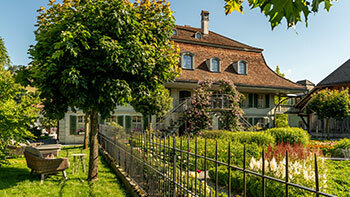 The spirit of the Belle Époque, when Swiss hotels first flourished, lingers in the rooms, corridors and restaurant. The creaking floors whisper many a forgotten secret. The restaurant offers regional specialties and a wide variety of other choice dishes. The Ofenhorn Hotel is the ideal starting point for a delightful voyage of discovery to the Binn Valley, a natural park with dozens of hidden treasures. 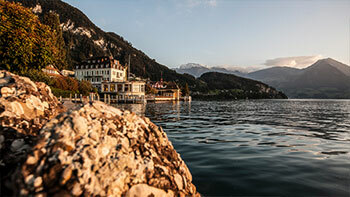 The Grandhotel Giessbach, a structure from the golden age of tourism (dating from 1873) and winner of the “Historic Hotel of the Year” award for 2004, enjoys a picturesque waterfall setting between the mountains and the Lake of Brienz. The magnificent reception rooms and lounges feature original furnishings. The small funicular railway, now 125 years old, which runs from the private steamboat terminal to the hotel, is an attraction in itself. 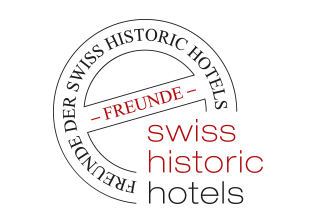 A hotel where tradition counts, with a romantic atmosphere, a hotel with personality, the top hotel in the capital of the canton of Graubünden. 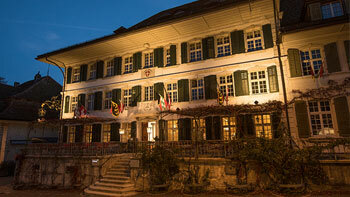 For more than 300 years, this traditional hotel, located in the center of Chur, has provided excellent regional food and wine. Enjoy fine fare in the unique ambience ot the splendid pine-clad restaurant. The Lombardian mansion with French style elements is a proud jewel situated in the village of Comologno at the end of the Onsernone Valley. The palazzo was faithfully renovated and endowed with 5 charming rooms, two of which feature historic furniture. Breakfast is served in the antique lounges. Ticino specialties are available at the Osteria next door. In-house whirlpool, sauna and massage treatments. 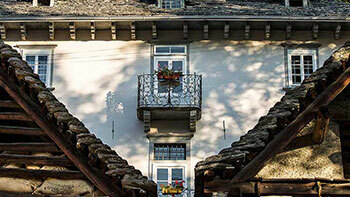 The village of Comologno was once a meeting point of many artists such as Max Ernst and Elias Canetti. 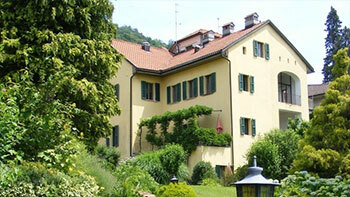 It is idyllically located in the Onsernone Valley above Locarno. Ideal for hiking and mountaineering. The Schatzalp was built in 1900 in art nouveau style as a luxury sanatorium, and was the setting for Thomas Mann’s novel “The Magic Mountain”. It was later converted into a hotel, but the soul of the building – its architecture – remains unchanged. 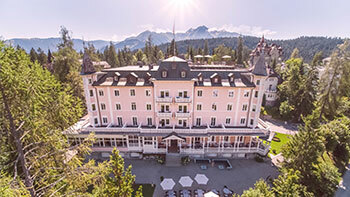 The hotel lies on a glorious, sunny and carfree mountain terrace 300 metres above Davos, with breathtaking views of the Swiss Alps, and is surrounded by a delightful botanic garden – the Alpinum Schatzalp – with 3,000 species of alpine plants. This exceptional setting makes for a uniquely restful and relaxing holiday and, thanks to the hotel’s own private funicular, the “Magic Mountain” is just a four-minute ride up from the resort. The Landgasthof Bären consists of three houses, the lovingly furnished hotel, our restaurant with its cozy rooms and rural charm and the modern seminar center. Whether for your dream wedding or banquet or for a demanding seminar or just for a few days of relaxation, the Bären is the ideal location to hold your event! Enjoy our high-quality cuisine; simply sit back and relax. A peaceful setting in the beautiful Emmental valley 700 m above sea level. 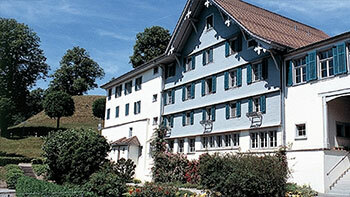 The unique and unmistakable Emmental environment invites you to leave your cares behind. We are at the ideal starting point for walks, hikes and bike tours. 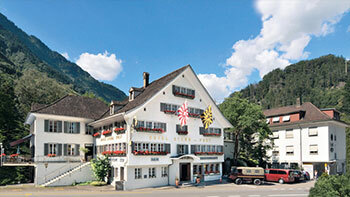 The landmarked Hotel Hirschen has a history dating back to the 16th century. The hotel is located in the quaint town of Eglisau, only 30 minutes from Zurich, beautifully situated along the banks of the Rhine River. The hotel was renovated and refurnished between 2003 and 2007 with painstaking care and passion for details. Seven historic rooms and suites conjure up the charm and beauty of yesteryear. Each room has its distinguished charm in which our guests can sense the ambiance of centuries passed without missing today's comfort. The culinary creations can be enjoyed either in the exclusive gourmet restaurant or in the lively bistro and are based upon a modern and fresh-from-the-market cuisine with references to classical cooking. Find tranquility and at the same time feel the breeze of past turbulent times: by staying at the hotel with its 13 rooms, which extends an invitation to remain here for a while and to experience the island at leisure. A lovingly run, inviting restaurant ensures physical well-being. Full-bodied wines from the region accompany the specialities from lakes and mountains. 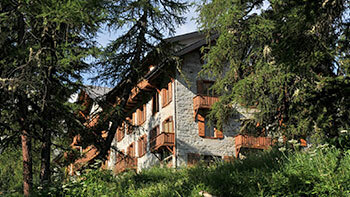 Nostalgic mountain hotel dating from the early days of Alpine tourism. It was originally built in St. Moritz before being dismantled and re-built in a magnificent setting in the car-free Fextal valley. The original dining room and nostalgic details lend the building a romantic air. The creative menu features ingredients from the region. Travel by van or individually by horse-drawn carriage. Located in a tranquil little mountain village, this B & B has four comfortable guest rooms individually decorated by color. Secluded places to sit back and relax around the house. Generous breakfasts include tasty homemade specialties and, depending on the weather, breakfast is served in the garden alcove or in the wood-paneled parlor. 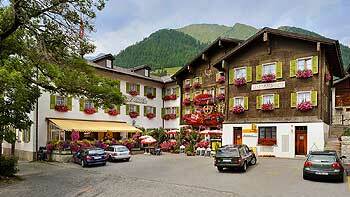 An ideal location for skiing, hiking, biking at solely 20 to 30 minutes from Chur, Davos and Klosters by car. Free Wi-Fi. Fin de siècle, Belle Époque and Art Nouveau styles set the atmosphere at the Schweizerhof Flims. Rich in tradition, this hotel was built in 1903 in the Belle Époque and Art Nouveau styles and where the likes of Albert Einstein, the Empress Zita and Marie Curie chose to spend their "summer retreat". 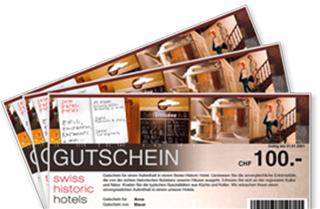 The history of the Schweizerhof can be read in the book "Literary Grand Hotels of Switzerland". In summer it is Lake Cauma and the fragrant alpine flora that invite the visitor, and in the winter it is the 220 kilometres of ski slopes and beautiful winter hiking trails. 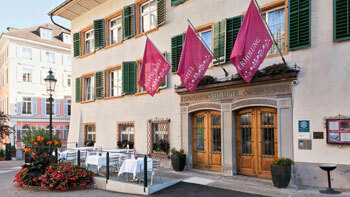 Since 2008, the hotel has been managed by the 4th generation of the Schmid family. Belle Époque restaurant, half board or a la carte, for high quality meals with a French influence. The house was renovated for more than 2 years in compliance with national monument protection criteria, reopened in December 2011 and has now 83 rooms available equipped with the latest amenities. The restaurant "Veranda" with its picture window provides a clear view of the Sarneraa Valley and Glaubenberg ("faith mountain"). 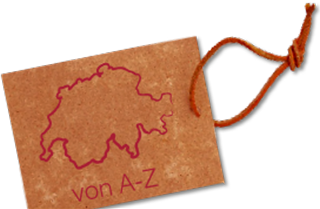 Culinary choices range from Obwalden to Swiss specialties. 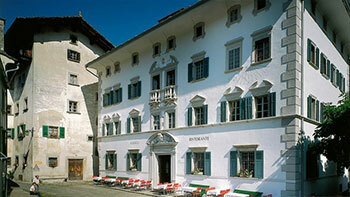 The hotel consists of two beautifully decorated 15th-century Engadin buildings. 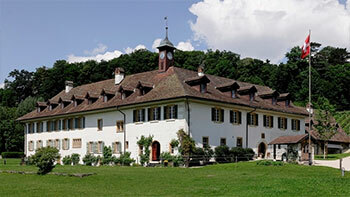 The main building has a magnificent dining room and 16 elegant rooms with WLAN. Each of the Chasa Pepina's 5 suites comes with a stone pine panelled parlour. Guests enjoy the use of the comfortable Stüvetta lounge with library and fireplace as well as the panoramic hotel garden. The centuries old Grimsel Hospice is located in the midst of a bleak and rocky landscape, on the turquoise waters of an artificial lake. From the former defiant miner's home an extremely elegant hotel emerged after comprehensive renovations, a place made for aesthetes and lovers of nature. With a panoramic lounge, a fireplace lounge, bar, restaurant, seductive wine cellar and cosy rooms that include every possible kind of comfort. This inn, on the Piedmont-Burgundy trade route, was mentioned in documents as early as 1142. Built in 1932 between two dam walls after the old hospice had been flooded, this was the first electrically heated hotel in Europe. Horgen Glarus furniture from the 30's. The stone pine and tower halls testify to the former construction style. The large wine cellar came into being because of the mule trains and is lovingly maintained. Its 12 individual bijou rooms are a combination of historical charm and innovative design. Atmospheric ballrooms, seminar rooms and the KreuzKellerBühne that stages cultural events. Seasonal and creative cuisine, a large sun terrace, a vaulted cellar and parking. 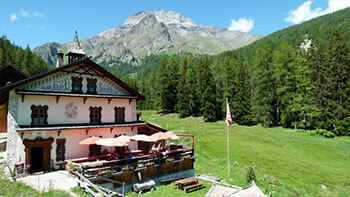 Somewhat more bucolic but nonetheless stylish, the Ruedihus country inn in Kandersteg dates back to 1753. This guesthouse is unique in terms of its historic guest rooms, with their period furniture and state-of-the-art luxury facilities, together with its historic herb garden. 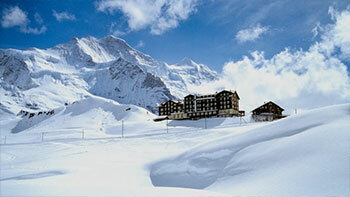 Experience the Swiss alpine world in its purest and original beauty. You’re given the opportunity to flee the rush of daily life and calm down in an marvellous surrounding and family friendly ambience. We offer you an unspoiled atmosphere where no cell phone will disrupt the silence and where you can leave daily grind behind you. Feel how the sun rays softly warm your skin while your eyes are resting gently on the sublime landscape. The adventurous journey on Europe’s steepest postal bus route will make sure your stay doesn’t lack any excitement. What does it feel like to eat and sleep in a historical setting from ancient times? Find out and immerse yourself into a fascinating world where you can discover the luxury of simplicity. 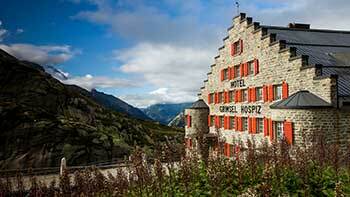 This historic hotel from 1840 has the best panoramic location on the Scheidegg Pass. 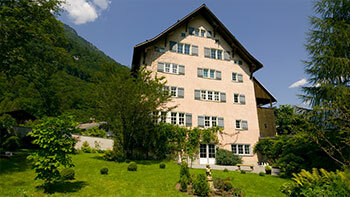 It has been managed by the 5th generation of Andreas and Silvia von Almen's family since 1988, and has 100 beds. 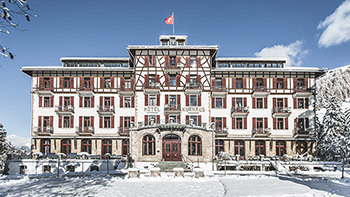 The building, its interior and its guest list are steeped in history, while the hotel is also famous for being the location where "The Eiger Sanction" starring Clint Eastwood and "North Face" with Benno Furmann were filmed. 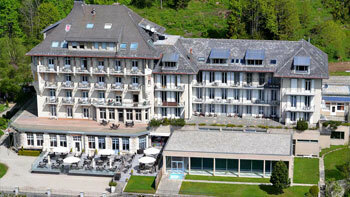 Built in 1840, the Bellevue des Alpes was last extended and renovated in 1948. Since then, any restoration carried out has focused exclusively on stylistic elements. All the interiors of the hotel's public spaces date back to the 1920s, while the rooms invite a little time travel. All the great mountaineers of the 20th century as well as celebrities from society, skiing and the film industry have stayed in this hotel. 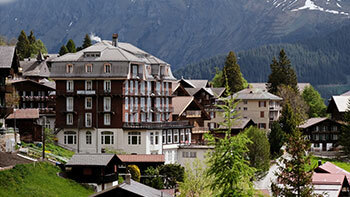 Discover the charming Romantik Hotel Chesa Grischuna in Klosters, Graubünden. If you are looking for originality, appreciate a stylish and warm atmosphere and enjoy being pampered by a friendly staff, you will surely feel welcome at the "Chesa". The unique, old restaurant invites you to stay a while and enjoy yourself. Executive Chef Ronald Fressner and his team know how to delight their international clientele with Graubünden and international specialities. Relaxing in the cozy Chesa Bar, you will discover many reminders of the legendary days when famous stars of stage and screen used to meet here. 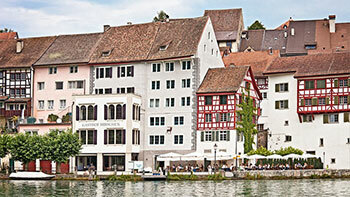 Situated directly on Lake Zürich and only ten minutes from the city itself, the Sonne (“Sun”) radiates a magical, historical charm - as it has since 1641. The owners of this superb hotel, the emblem of Küsnacht, have added every modern comfort, and nurtured a very special atmosphere. The historic ballroom from the year 1839, the cosy lounges, and the Restaurant Sonnengalerie with original sculptures and paintings - by Andy Warhol, among others - are all reasons enough to make a visit. So too is the delicious, creative seasonal cuisine. 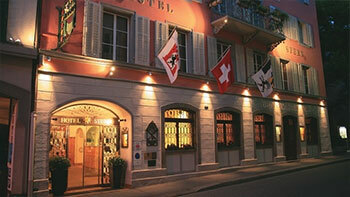 The Hotel du Pillon is a historic hotel with lots of charm! Perched above the village of Les Diablerets, it has 14 rooms with breathtaking views, some of which look out onto the Diablerets Glacier and enjoy sunshine all year round. 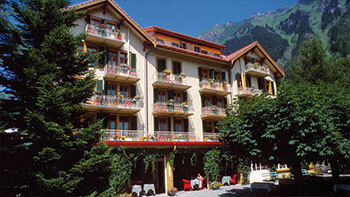 Built in 1875, the hotel is situated on the outskirts of the village on the old pass road leading up to the Col du Pillon. As the last grand hotel dating from this era, its facade is now a protected historical monument. The hotel was beautifully restored in 2007. 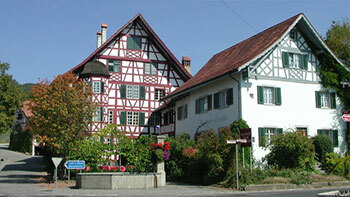 The "Wilden Mann" was first mentioned in old Lucerne in 1517 as a tavern and it comprises a series of delightful town houses. 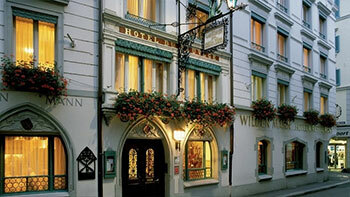 This historical hotel is an oasis of charm and hospitality snuggled in the picturesque old town. Each room is individually and beautifully decorated with a flair for detail. Enjoy local specialities in the cosy Burgerstube, international cuisine at the smoke-free Wilden Mann Stube and al fresco dining on the summer terrace. A feeling for tradition harmoniously linked with modern comfort allows the guests to forget everyday worries – a real home away from home. The Aga Khan was there, as were François Mitterand, Tina Turner and Igor Stravinsky, Sophia Loren and Marcello Mastroianni, Björn Borg and Alain Prost. The famous Hotel Splendide Royal wears its name like a badge of honour. And with good reason, too. 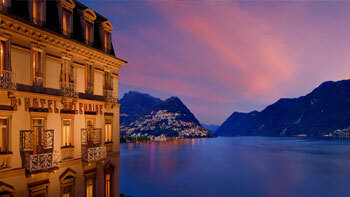 For this hotel has been the number one address in Lugano for a good one hundred years. And not just for the rich and famous, but for all those wishing to explore the fascinating world of Ticino or visiting the region on business. 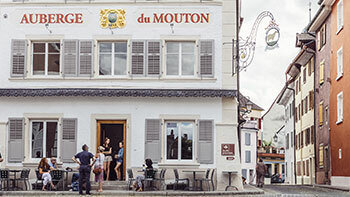 The charming Hotel Masson with 31 rooms is located in Montreux Veytaux, on an elevated site affording extensive views, alongside the old Simplon road. The contemporary structure began life as the house of a wine-grower, and may have even been a guesthouse before that. Here in the former regal residence of an aristocratic family hospitality has been cultivated since centuries. 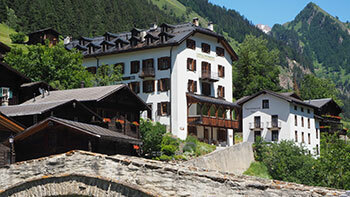 And today, thanks to its location at the foot of the Nufenen, Grimsel and Furka high-mountain passes, the hotel has become a popular place of abode for all kinds of mountain biking tours. Gourmets get their fill of delights too - with finest regional specialties served on silver platters. The impressive and over 400-year-old manor house is today a charming private hotel with four romantic and differently furnished rooms. In addition a large museum forms part of the ensemble - spread over six floors and where one can literally experience living in the past! 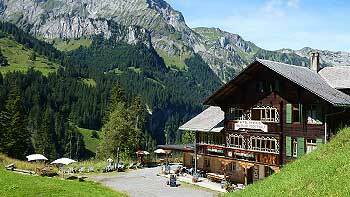 The Landvogthaus is a non-smoking establishment run personally by the owner, and a dwelling place where magnificent views of the Tödi further enhance each stay. The authentic guesthouse is considered one of the most important town houses rooted in the 17th century, justly named "Historic Hotel of the Year 2014". Careful management of the building’s structure and the six nostalgic rooms boasting original furnishings and a great love of detail offer an enchanting journey back in time. Culinary-wise, the focus here is on excellence and seasonal regional products. Lovely hotel in the historic centre of Porrentruy, reopened in 2016 after extensive refurbishment. Eight charming and stylish rooms featuring an exclusive mixture of modern design, comfort, and a touch of tradition in their furnishings. The renowned restaurant seats 30 and offers a refined regional cuisine by chef David Hickel. Free Wi-Fi, dogs are welcome. Ideal starting point for excursions in the region. 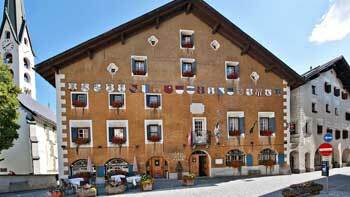 On the other side of the spectacular Bernina Pass in the historic town of Poschiavo lies the simple, but atmospheric nine-room Hotel Albrici. The impressive features of this carefully restored aristocrat’s residence, which dates from 1682 and lies directly on the main square, include the renowned Sybilline Hall. On a forest clearing, the Zuort hamlet lies far from hustle and bustle in an idyllic spot amidst a beautiful mountain world. The personally run hotel with restaurant comprises 6 stylish rooms and, in addition, two separate chalet suites are available for rent on request. Local specialities and wines are served either on the sun terrace or in the dining lounge in an authentic and cosy establishment just perfect for nature lovers. Built in 1557, Wartegg Castle looks back on an impressive history, including a time when it served as a refuge for Zita, the last Empress of Austria. Today the castle is a contemporary holiday and business hotel in one. The 24 rooms are light and airy in design; the views of the expansive wooded grounds and garden, and across Lake Constance, are exceptional. Splendid views of gleaming lakes and impressive mountains: the Waldhaus Sils sits above peaceful Sils Maria like a fairy-tale castle. 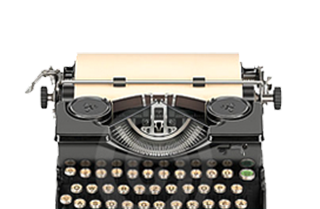 Family owned and managed for five generations, it still radiates the grandeur of an earlier age. An architectural landmark with a proud history, five-star ranking, 140 rooms, 230 beds and a staff of 145, this is the very idea of a grand hotel. The Waldhaus is grand, but also playful and relaxed! Vibrantly alive and comfortably old-fashioned behind the imposing facade; determined by the diverse people and generations who have relaxed and worked here. 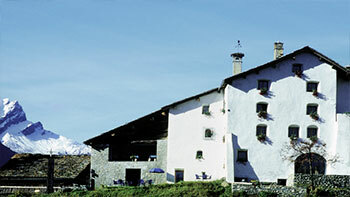 Hotel located in the picturesque Bregaglia mountain village of Soglio, surrounded by a magnificent historic garden dating back to the 17th century. 14 individually furnished rooms with the charm of bygone days. In the kitchen, the simple turns into the exceptional. This happens with great respect for the products – fresh, delightful and local. Meals are served in the historic restaurant and, in summer, in the garden between box hedges or on the terrace with spectacular views of the Sciora range. 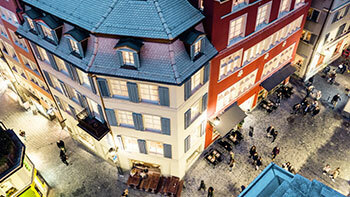 Original, well-cared-for Old Town hotel in the centre of Solothurn with 15 modernly furnished rooms in historic surroundings. Stylish interior, exclusive design classics and modern bathrooms. Creative market-fresh cuisine served in the hotel restaurant. 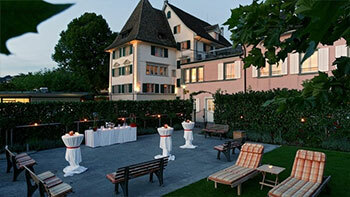 The hotel is managed cooperatively and in 2012 was elected one of the 15 best 3-star boutique hotels in Switzerland. Literary events take place here. This 4-star boutique hotel was recently fully refurbished. Charming rooms with historic touches, familiar design classics, a sophisticated colour concept, traditional craftsmanship and contemporary furniture design. Banqueting hall with a view of St. Ursen Cathedral. French-inspired gastronomy in the elegant restaurant, bar à vin and large boulevard terrace. Parking spaces, wheelchair-friendly. The Weiss Kreuz was probably built at the beginning of the 14th century as a watchtower. It became a traders' inn in 1519, and still dominates life in Splügen from its central position on top of a rocky promontory in the village‘s old centre. Guests are received through the ancient traders' entrance, and make their way to the 16 restored rooms via a creaky wooden staircase. Each room has a unique charm. The former hayloft has been converted into the hotel‘s restaurant, where there are superb views across the stone roofs of the village and of the wonderful mountain scenery. In the picturesque Val d’Anniviers within the French-speaking region of the Valais, the Grand Hotel Bella Tola reflects the lifestyle of the late 19th century. The current owners have enthusiastically set out to restore the guest rooms, the original dining room and lounges to reflect the charms of a bygone age. Majestically situated amid breathtakingly beautiful and unspoiled scenery. The Palace is a haven of tranquility. 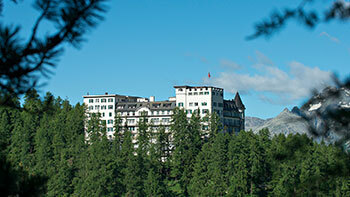 A historic symbol of St. Moritz. No two rooms are alike, each has its own distinct character. Badrutt‘s Palace is a celebration of style, sports, cuisine and fashion, with discreet service and traditional elegance evoking an atmosphere of pampered luxury for all. An ideal destination in both winter and summer, the hotel is located in one of the most challenging ski areas in the world and offers a host of summer alpine activities. 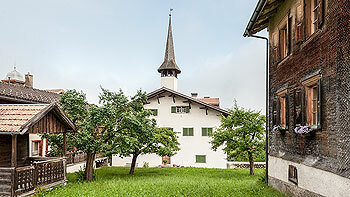 The former Propstei of the Benedictine abbey St. Johann in Müstair with the 1199 attached hospice and the former seat of the Count de Capol form today‘s hotel "Chasa de Capol", an Etape Gourmande with a very hospitable atmosphere. The 10 individually designed and designated rooms can best be described by the quotation of the actress Barbara Scheel "Each room is a story room". Albert Hoffmann, the inventor of LSD, noted in the guest book: "Here you experience magic moments without having to eat hallucinogenic mushrooms beforehand." Known as the "Gyrenbad" since the 17th century, this is one of the most beautiful original country inns in Switzerland, which lies above the village of Turbenthal. This inn, which is situated in an idyllic landscape, is run by the Kunz family with love and a mind for culture. 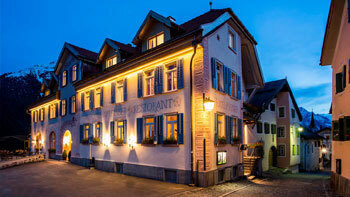 Its historic walls hide a highly successful combination of modern comfort and gastronomic delights. You can enjoy a refreshing night’s sleep in one of the seven rooms. 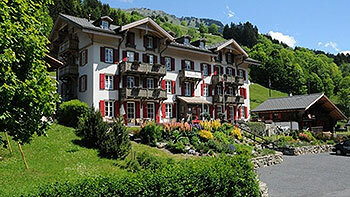 The Hotel Terrasse am See is situated next door to the steamer pier and the funiculars up Mt. Rigi. It was first built in 1873 by the Vitznau-Rigibahn, Europe’s first mountain railway (1871), as part of the station complex. Modifications in 1899 and extensions by an architect called Berger in 1929 later transformed the hotel in terms of both size and appearance. In addition to a holiday atmosphere and good food, the Hobby Hotel offers guests creative courses in arts and crafts as well as exhibition space for their works. The Restaurant Rondel built over the lake promises guests the awe-inspiring first-hand experience - weather permitting - of nature in all its manifold glory, including some beautiful sunsets. 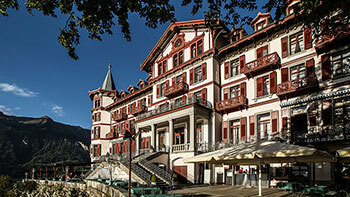 The Hotel Falken is a unique testament to the days of the belle époque in Wengen. It stands on a hilltop in its own grounds, with a separate pavilion. The hotel was built in 1894. Many of the original details remain, both outside and in - such as the entrance richly decorated with floral motifs, and the dining room with impressive Art Nouveau lighting fixtures. 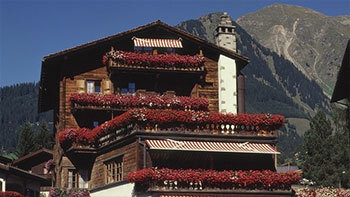 All rooms are furnished in traditional alpine style. 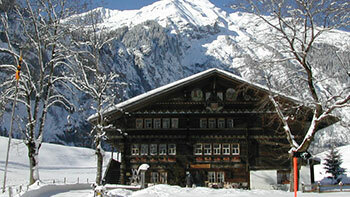 This is the only intact building of this period in Wengen still run as a hotel; as a result, it is a unique witness to the early days of tourism in the village. The original Seiler Hotel is erected on the foundations of the legendary "Lauber Inn", which established Zermatt’s hotel keeping in 1839. 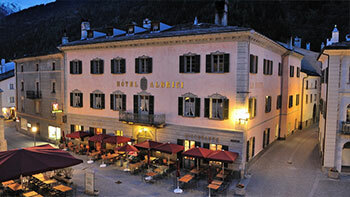 In 1855 Alexander Seiler opened the Hotel Monte Rosa here, in the centre of the village. 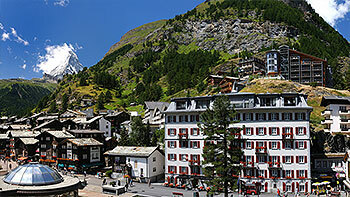 For over one and a half centuries the most traditional hotel of Zermatt has accommodated visitors from around the world. The membership in "The Leading Small Hotels of the World" vouches for the high quality of services. Experience the charm of the alpine "Belle-Époque" hotel and at the same time enjoy the comforts of a modern infrastructure. 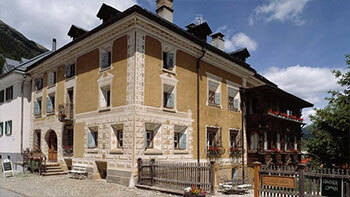 The designated heritage Engadine building on the village square is an absolute mountain idyll. The interior offers the finest hospitality. Comfortable rooms with superb wooden beds, two restaurants with local specialities and the warm, cosy atmosphere provide quality rest and relaxation surrounded by the spectacular Engadine mountains.